My favourite thing about 5 a side is turning up to a game and seeing what shirts people are wearing. You’ll see everything from your classic Prem teams, to minor local sides and, if you’re lucky, something obscure and unusual. These shirts all have stories: maybe it was a cheeky eBay purchase or it could have been an impulse buy whilst on holiday. The great thing is there’s always something exciting and cheap available. 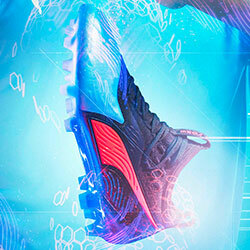 As the industry has grown, our options have increased exponentially. 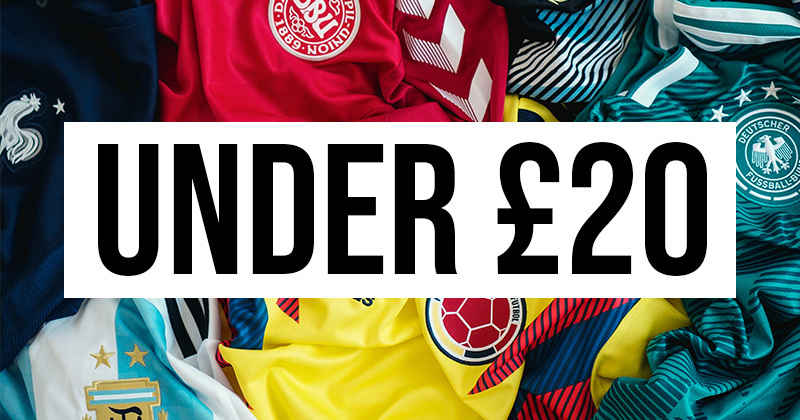 So, with that in mind I’ve picked out 7 superb shirts you can get today, all for under £20*. Yellow submarine. Shirt image from Classic Football Shirts. 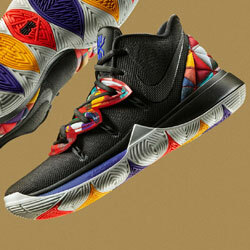 This might be the deal of the year. 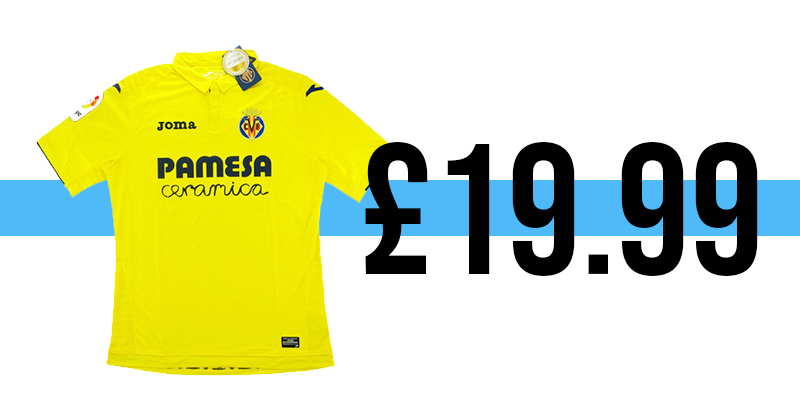 The iconic yellow of Villarreal is an instant win, whilst the smart collar and tidy sponsors mean this shirt will age very well for years to come. Best of, it’s available in all sizes. Don’t miss out on this. A golden beauty. Shirt image from Classic Football Shirts. We continue our Spanish theme with this golden beauty courtesy of Malaga. This shirt has an incredibly crisp look, with a stunning monochrome crest and a bold black trim. One to impress your friends. All the way from China. Shirt image from Classic Football Shirts. Sometimes you need to think completely outside the box, and that’s exactly what this shirt from Dalian Yifang is. You’d be hard pressed to find anyone who’s heard of the team before, but you can change that. Worth it just for the crest. Shirt image from Classic Football Shirts. 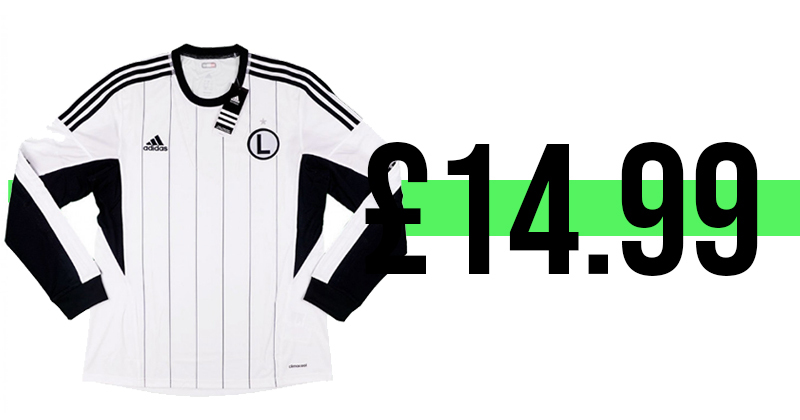 You can’t go wrong with black and white, and this shirt from Legia Warsaw ticks that box. 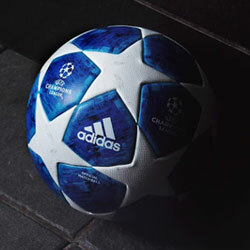 But it gets better, with an almost comically simple ‘L’ crest and a great adidas design which won’t get old. 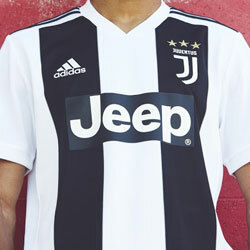 This shirt is player issue also, which makes the low price even more impressive. This is a bargain. Shirt image from Classic Football Shirts. 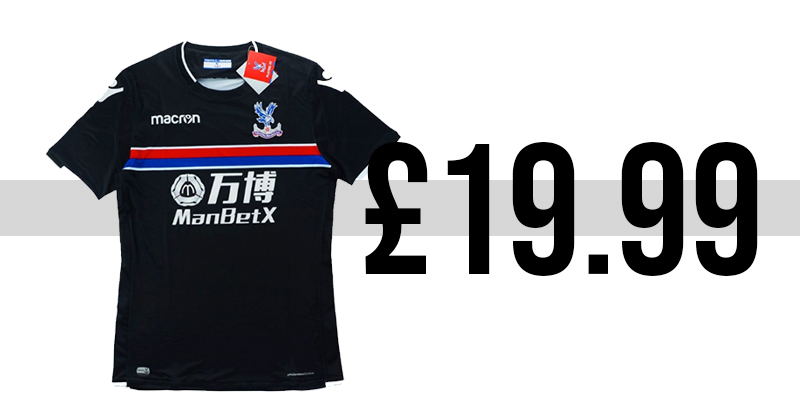 This Granada shirt was worn when the side pulled off a great escape with 10 points in their last 4 games to avoid relegation on the last day of the season. You can commemorate the occasion with this quality shirt, with a well-executed hoop design and a good balance of red, white and blue. Easily one of the best designs last season. Shirt image from Classic Football Shirts. 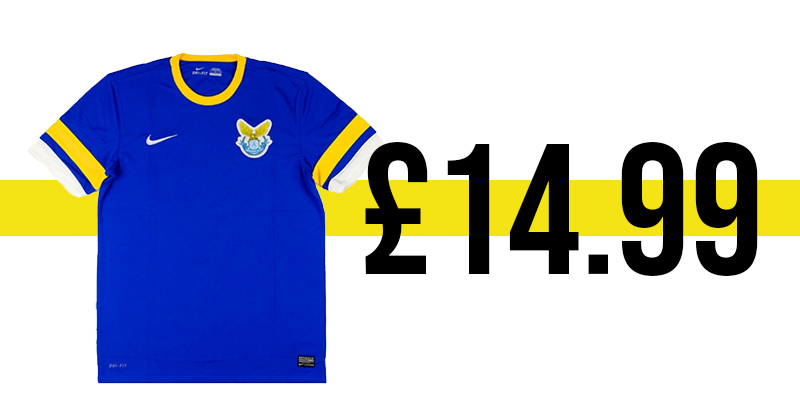 This shirt might have been my personal favourite of all Premier League teams last season, and the fact you can get the player issue edition for under £20 is a steal. For those that don't mind a bit of attention. Shirt image from Classic Football Shirts. Let’s face it, if you want to leave an impression then you have to own this shirt. 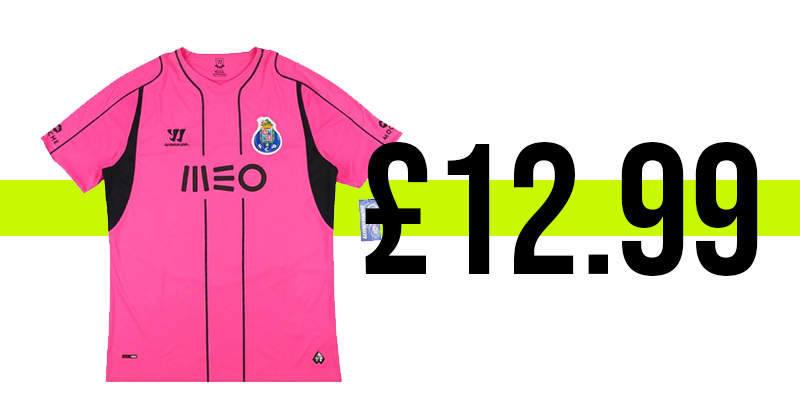 Porto are a sure bet for a great kit, and this is a memorable number of theirs with it’s brash pink hue. You know you can pull it off. 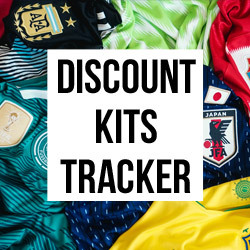 For more great deals on football shirts, boots and everything else, keep it here at FOOTY.COM.